The big data revolution in amyotrophic lateral sclerosis (ALS) has begun, bringing with it excitement and expectations for transforming diagnosis and patient care. Advances in computing power and computational methods, the explosion of high-throughput methods to probe nucleic acids, proteins, and other cellular molecules (“-omics”), the development of induced pluripotent stem cells (iPSCs), and rapid improvements in robotics and other technologies make it possible to query individual patient cells in unprecedented detail, and to link data from thousands of patients to see patterns of causation that have simply been unavailable before now. Multiple large initiatives are currently underway to collect and analyze such data from ALS patients, all aimed at identifying causes of the disease, biomarkers, and treatments. These treatments will be guided by the precision medicine principles that the most effective treatments will be those that target the individual patient’s disease process and “take into account individual variability in genes, environment, and lifestyle for each person” (NIH Precision Medicine Initiative Cohort Program, 2015). Precision medicine approaches that have brought on a new era of cancer therapeutics (Friedman et al., 2015) appear particularly promising in ALS, given the clinical and genetic heterogeneity of the disease (Cooper-Knock, J et al., 2014; Xu, SW et al., 2014; Sabatelli, M. et al. 2016): over a dozen genes, which fall into pathways as diverse as RNA processing, nuclear transport, mitochondrial dysfunction, and axonal transport, are associated with ALS, and striking differences exist in clinical manifestations with respect to age and site of onset, rate of progression, and impact on cognitive function. A note on data sharing and integration: while each of the projects underway has the potential to advance the understanding of mechanisms and new targets in ALS, an even bigger opportunity will emerge from combining data sets to allow pooled analyses of many thousands of ALS patients. Among the biggest challenges facing the field in the near future will be the development of protocols for sharing data sets. “We need to develop a blueprint for data sharing in collaboration with data scientists that can help us design the correct infrastructure. Work we do now to plan for the integration of data from different projects will have major implications for how smoothly that work flows,” stated Bernard Muller, an entrepreneur and ALS patient who co-initiated Project MinE. “There are technical challenges, but these can be solved. Even more significant may be the legal hurdles for cross-border data-sharing, which will be needed to integrate data from all ongoing projects”. Work to overcome those hurdles is only now beginning, Mueller said. As noted below and in the project descriptions, project leaders are anticipating both the technical and legal challenges, and are in the process of planning the path forward. Many of the details are still being worked out as of the publication date of this article. This article is provides an overview of the current landscape of big data/precision medicine projects in ALS, with a primary focus on projects in the United States. It contains information garnered from the program websites, as well as from interviews by the ALS Research Forum with the project directors or principal investigators. Regularly updated descriptions of each project on the ALS Research Forum provide further details about scope, progress, and resources that will be available to the research community. We aim for this to be a resource for the ALS research community, highlighting collaboration opportunities and emerging resources for advancing ALS research. Project MinE has the ambitious goal of conducting whole genome sequencing (WGS) of 15,000 ALS patients worldwide, along with 7,500 carefully selected control subjects, creating one of the largest genetic databases for any patient group. This international project was initiated in the Netherlands by ALS patients Robbert Jan Stuit and Bernard Muller, in collaboration with Leonard van den Berg of the University Medical Centre, Utrecht. In the United States, John Landers of University of Massachusetts Medical School and Jonathan Glass of Emory University are co-principal investigators. “Initially, the plan was to create the largest WGS genetic dataset in ALS, but we are excited to have expanded the analysis to include methylation chips and epigenetic data”, Muller commented enthusiastically. He added that another opportunity with this dataset is the rich data from controls across the globe, which is a valuable resource for other disease indications beyond ALS. “We initially said we wanted to sequence 1000 patients in the United States, but we’ll go beyond that,” Landers said. 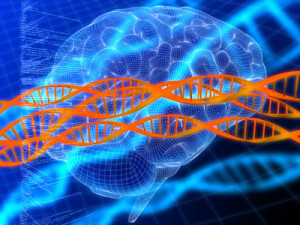 “The goal is as many as possible.” There is a general sense among ALS geneticists that the low-hanging fruit of Mendelian causes has been found; new genetic discoveries will likely arise from discovering groups of risk genes, none of which are causative of the disease individually, but when expressed together, increase the risk of ALS substantially. Only with very large datasets are these individually weak risk genes, or clusters of genes, likely to emerge. The ALS samples being sequenced had been collected long before the project was initiated from both living and deceased ALS cases, but the Project Mine initiative has made it possible to sequence these stored DNA samples. The sequencing for the project is done by Illumina, in order to have high-quality, standardized results from each patient. Available clinical data is also being collected on patients contributing DNA to the project. As of early March 2016, almost 6500 profiles have been sequenced worldwide; the data is already being analyzed by the study PIs. The ALS associations in each country have been spearheading the local fundraising efforts, and in many cases, have teamed up for the first time to manage the country-specific Project MinE campaign. Each campaign is being managed analogously to a franchise, with independent fundraising efforts and data ownership, however, all participating centers are tightly coordinating the collection protocols and analysis, and are forging collaborations to share data across sites. Project MinE is currently formulating plans for more broadly sharing data, which will take into account patient confidentiality and privacy laws in participating countries. The control data is already available for analysis, and the long term plan is to make all the data accessible. The ALS Therapy Development Institute is managing an independent precision medicine initiative, which was the first large-scale precision medicine initiative in ALS, and was greatly accelerated by donations received during the Ice Bucket Challenge. The ALS Therapy Development Institute (ALS TDI) Precision Medicine Program combines genetic analysis with novel methods for clinical phenotyping, and enables active patient engagement through a web portal for participants. More specifically, participants will undergo whole genome sequencing, transcriptomics, collection of skin and blood samples, generation of iPSC lines from patient fibroblasts, and detailed clinical phenotyping. The program is currently on track to recruit almost 300 patients by mid-2016 with IRB approval and institutional commitment to enroll another 250 patients in the coming year. “Our goal was to create a database of all the possible types of data we could collect from ALS patients, and collect it in one data infrastructure, rather than being siloed,” said Steve Perrin, Chief Executive Officer and Chief Scientific Officer of ALS TDI. The clinical phenotyping component of the study includes not only standard clinical measures, such as monthly tracking of the ALS Functional Rating Scale-Revised (ALSFRS-R), breathing function, and speech tracking through recordings, but also data from wearable accelerometers. These devices are worn on the wrists and ankles of patients on 6 consecutive days per month, and they continuously record limb movements. Output from the accelerometers will be compared to ALSFRS-R scores, in order to identify the most informative data elements and how to best leverage the accelerometers for clinical data collection in future studies. A unique aspect of this program is that enrolled participants can be actively engaged in the research study by tracking the research team’s progress on analysis of their samples through a web portal that indicates completion of each step of the process, from sample acquisition to generation of a complete genome sequence. Patients can view their own genome sequence as well. In a second phase of the project, beginning in 2016, neurons and astrocytes will be generated from the iPSCs derived from skin biopsies provided at enrollment. These will undergo high-throughput automated screening against a chemical library, looking for effects on survival or protein aggregation, to identify clusters of patients whose cells response similarly to chemical perturbations and who therefore may share common disease pathways. Chemical screens targeting specific pathways will also be used to identify promising drug candidates for further development. ALS TDI plans to share its data with the ALS research community once it has addressed some of the challenges of storage and analysis of such large volumes of data. “We only have so many scientists that can leverage all the data we will be collecting,” Perrin said. Data sharing plans are still in the works. The CReATe Consortium is a consortium of clinicians and scientists who are focused on overcoming obstacles to therapy development for patients with ALS and related disorders, including frontotemporal dementia (FTD), primary lateral sclerosis (PLS), hereditary spastic paraplegia (HSP), and progressive muscular atrophy (PMA). CreATe has embarked on a study with a planned enrollment of at least 700 patients. Every study visit includes a wide battery of motor and cognitive/behavioral assessments, which include scales with alternative versions to avoid learning effects. Biofluid (blood, urine, and CSF) collection from patients and family members will allow prospecting for novel biomarkers of disease progression and disease subtypes, as well as validation of leading biomarker candidates. Family members are encouraged to participate in order to increase the detail and accuracy of pedigree information. In addition to the deep phenotyping, the program is unique in encompassing a several ALS-related diseases, including ALS, FTD, PLS, HSP and PMA, which could help uncover shared mechanisms of motor neuron death. All data collected will be publicly available through NIH’s dbGaP (database of genotypes and phenotypes), which archives and distributes data on human genotype-phenotype interactions. Similarly to the CReATe Consortium, the Genomic Translation for ALS Care (GTAC) is pairing deep phenotyping with whole genome sequencing and transcriptomics from 1500 patients with ALS. A distinguishing feature of this project relative to CreATe is the addition of RNA transcriptomics – the analysis of the full complement of RNA transcripts. GTAC is a joint project of Columbia University in New York, the biotechnology company Biogen, and The ALS Association. According to the project PI, Matthew Harms of Columbia University, “The goal is to use the combination of all these data to begin to categorize patients by the mechanism or mechanisms driving their disease, whether it be neuroinflammation, protein aggregation, autophagy dysregulation, or another process.” The transcriptomic data is designed to inform the genomics data, since it can reveal the effects of non-coding variants that may, for instance, be altering the level of a specific protein. “Undoubtedly there are patients who have mutations outside of the coding region. These can be very difficult to interpret without the transcriptomics.” Machine learning approaches will be used to find correlations in the data and subcategorize patients. During the strategic planning phases of this project, the leaders of GTAC gathered information from similar ongoing precision medicine projects in ALS in order to build in as much harmonization as possible between the data sets, especially with respect to clinical phenotyping. “There will be important unanswered questions from the individual initiatives, so we will need to work together to answer them,” Harms said. While the project does not currently include generation of iPSC lines from peripheral blood mononuclear cells (PBMCs) – the blood samples will be stored at the iPSC Core Facility at Cedars-Sinai Regenerative Medicine Institute in Los Angeles, CA, and will be available for cell line production in the future. All data generated from the project will be made available almost immediately to those participating in the New York Genome Center consortium (see below), and then to the newly created ALSGEN initiative from National Institute of Neurological Disorders and Stroke (NINDS). The CGND is coordinating a consortium of research teams from University of Pennsylvania, Massachusetts General Hospital, University of Massachusetts Medical School, the Hershey Medical Center at Pennsylvania State University, University of Maryland, Cedars-Sinai, the Henry Ford Health System, and Johns Hopkins University, to jointly analyze data from 1700 ALS patients. Data collection genomic, transcriptomic (such as RNA-SEQ) and detailed clinical data. A major goal of this consortium is to enable broad data sharing, and although each center has some degree of independence in how they conduct their portion of the study, the CGND is coordinating the effort to allow the samples to be analyzed jointly. Multiple studies are ongoing from these samples, including a study of genetic modifiers of C9orf72 ALS, genotype-phenotype correlations, and a search for new ALS-linked genes. The Center also has on-site laboratory space, in which cell culture and animal models systems for ALS are studied. CGND will be conducting sequencing for several large-scale efforts that include major data generation and analysis, including Target ALS, Answer ALS, and Genomics Translation for ALS Clinical Care (GTAC). Advantages of joining the CGND consortium include complete templates for data collection, handling, and sharing. Data and biosamples will become available to all members of the consortium as they are generated. Data will remain restricted to consortium members for three years, and then will either be released to the entire research community upon publication of studies generated from the data, or after an additional six months, whichever comes first. In addition, the CGND is performing the whole genome sequencing of postmortem tissue samples on behalf of the Target ALS Foundation Postmortem Tissue Core. Biosamples collected as part of the Target ALS Foundation cores will be immediately available. The Answer ALS initiative was conceived following the 2013 ALS Summit organized by Team Gleason, which formulated the need for an open-access initiative to collect and integrate many types of ALS patient data in order to accelerate development of new ALS therapies. This initiative is delving deeper into the –omics realm than most other precision medicine initiatives, by combining high-throughput analysis not only of genome sequencing, transcriptomic, and proteomic data, but also of epigenetic data and metabolic pathways. The project is combining this rich ‑omics data with deep clinical phenotyping data, and is doing so on an unprecedented scale of 1000 ALS patients. “We don’t think the twelve ALS lines from NeuroLINCS will be enough to really understand ALS,” Svendsen said, who is co-PI on Answer ALS, jointly with Jeffrey Rothstein of Johns Hopkins University and Merit Cudkowicz of Massachusetts General Hospital. The project, which is getting underway as of spring 2016, will recruit the 1000 ALS patients for the study from five to six centers across the country to ensure genetic diversity. iPSCs will be created from peripheral blood mononuclear cells (PBMCs) at Cedars-Sinai and will then be converted to motor neurons (future work may include glial cells), which will then undergo whole genome sequencing, transcriptomics, epigenomics, proteomics, metabolomics (study of metabolites), and lipidomics (study of lipids). “We are interested in a complete biological profile of the cells,” Rothstein said. A subset of the lines will be characterized with respect to neuronal growth and development by Steven Finkbeiner at the Gladstone Institute of Neurological Disease in San Francisco, CA. Phenotypic data will be garnered from periodic clinical visits as well as wearable monitors, and unique ALS-oriented smartphone apps that will collect well over a half a dozen different biological activities, including movement, sleep patterns, breathing, and speech (these apps are still being developed). Rothstein expects that about 10% of patients will also be willing to contribute CSF samples. “All that data will be analyzed by machine learning,” Rothstein said, with the goal of subgrouping patients based on biological properties and extensive clinical information for development of targeted therapies. The initial funding for Answer ALS will cover the data and sample collection phase, as well as initial analysis, which Rothstein expects will take no more than three years, but there will be much left to discover even after that. “There will be a lot of follow-on studies from this data.” Analyses will begin even before collection is complete, with new data helping to refine the picture as it emerges from the analysis. All of the data will be public, so that anyone who has the analytic capabilities can conduct their own investigations. In fact, the data are already being mined in real time by biotech companies looking to develop novel therapeutics. “All of the cell lines will also be publicly available, even while we are doing our first-pass analysis, so others can begin their own research. Open source research—making data and reagents widely available—is the only way to really make progress in ALS,” Rothstein said. Clinical data resulting from the study will be stored with NeuroBANK at MGH in Boston, MA (see below), while the much more extensive biological data will be stored on secure cloud servers. The NeuroLINCS program is an expansion of the Library of Integrated Network Signatures (LINCS) program, an NIH-funding collaborative program to elucidate how cells respond to diverse chemical perturbations, from toxins to therapeutics. NeuroLINCS is a LINC program focused on a deeper understanding of neurons and causes of neurological diseases. The PIs of the project are Clive Svendsen of Cedars-Sinai Medical Center in Los Angeles, CA, Jeffrey Rothstein of Johns Hopkins University, Leslie Thompson of University of California at Irvine, Ernest Fraenkel of Massachusetts Institute of Technology, and Steve Finkbeiner of the Gladstone Institutes of Neurological Disease. NeuroLINCS is analyzing neurons from 20 iPSC lines: 4 control subjects, 4 sporadic ALS patients, 4 SOD1-ALS patients, 4 C9orf72 –ALS patients, and 4 spinal muscular atrophy patients. There are no deep phenotyping data associated with the lines. Each cell line will undergo genome sequencing, transcriptomics, and proteomics, both in the unperturbed state and, more importantly, in response to chemical perturbation. “The biggest part of the dataset arises from the effects of the chemical perturbetants, in some cases thousands of compounds,” Svendsen said. With all the data in hand, a researcher can “find out at a keystroke whether any particular protein is expressed in the cell line, and how its expression is altered in response to any particular compound.” A major goal is to understand the commonalities and differences among types of ALS, in order to better tailor treatments to specific subtypes. All the data will be publicly available as they are generated. NeuroBANKTM is a patient-centric clinical research platform to capture, aggregate, and link clinical data with biosamples, genetic data, and imaging. “While a patient may be a subject in multiple clinical studies, the information from all these studies is captured in a single system, thus allowing a longitudinal view on a person,” said Alex Sherman, a Director at the Neurological Clinical Research Institute at MGH and the inventor of NeuroBANK. Data from a patient’s clinical visit may also be captured, thus, allowing it to be used for research. The NeuroBANK team has collaborated with Epic, one of the largest electronic health records companies, to develop a standard approach to capturing clinical data in Epic and exporting it to NeuroBANK. Key to the data integration is the GUID (Global Unique patient IDentifier), a random string assigned to a patient and used across the research continuum. The GUID cannot be reverse-engineered to reveal patient’s identity, according to Sherman. There are more than 700 ALS patients from 80+ sites participating in 14 active ALS-related projects for whom GUIDs have been generated, a number that is likely to grow to over 5,000 in the next several years as projects using NeuroBANK enroll more patients. Patients have to sign an Informed Consent Form (ICF) and agree that their data entered into NeuroBANK may be shared for medical research. Standardized operating procedures and forms can accelerate approval of new studies, Sherman said. Since some data elements, such as demographics, disease history, and family history do not change over time, the availability of this data can save time as new projects are undertaken. There are 7 ALS projects using the NeuroBANK platform and collecting biofluids and DNA along with clinical information. These biospecimens may be stored at multiple sites, but are searchable centrally. Up to 3,200 DNA samples will be sent to the New York Genome Center for whole genome sequencing. Projects that wish to use the NeuroBANK platform can do so after approval of the protocol and consent form. Standardization in the ICF language, core data elements, workflows and processes allow for faster protocol and consent language development and approval, faster grant processing, lowering individual grants’ budgets, and better information quality. The quality of data is monitored and enforced, as the NeuroBANK team provides data management, support, and data analytical and help desk services. The PRO-ACT database, a project of Prize4Life in partnership with the Neurological Clinical Research Institute at MGH and the Northeast ALS Consortium (NEALS), contains over 10,000 de-identified patient records from 23 Phase II and III clinical trials in ALS. Prize4Life continues to add clinical data to the database, cleaning and harmonizing it, at no cost to the sponsors of the original trials. The data in PRO-ACT is freely available and Prize4Life is encouraging big data and bioinformatics researchers to collaborate with clinicians, ALS researchers and industry to use the data to address key issues in the understanding of ALS phenotype, progression and management. The database is available for use by researchers, and has already shown its utility as a platform for developing computational approaches to predict ALS disease progression (Kuffner et al., 2015) and for discovery of prognostic indicators (Lunetta et al., 2015). There are no biosamples available with the data. ALSGEN is an NINDS-sponsored project that aggregates whole exome data from ALS patients for independent analysis at the Broad Institute in Cambridge, MA. Data generated through the GTAC initiative will be shared outside the consortium through ALSGEN. NIH’s dbGaP (database of genotypes and phenotypes), archives and distributes data on human genotype-phenotype interactions. Data generated through the CReATe consortium will be house in this database. Outlook Toward the Future: the outcome of all of these initiatives is intended to be a better understanding of the diverse disease mechanisms driving ALS, and an ability to identify which mechanisms are operating in an individual patient. The ability to subtype patients by mechanism will make clinical trial populations more homogenous, in turn allowing them to be shorter (because of less sample variation) and to more definitively test a mechanism-based therapy on patients whose disease is driven by that mechanism. Those efforts will be aided by other initiatives in the ALS clinical trial field, including a major push by Biogen to test and refine outcome measures beyond the ALS-FRS (see Feb 2016 news) and studies to define disease progression biomarkers to supplement clinical measures of disease progression. 1. National Institutes of Health, 2016. Precision Medicine Initiative Cohort Program. Accessed 18 Mar 2016 from https://www.nih.gov/precision-medicine-initiative-cohort-program.[Link]. 2. Friedman, AA, Letai A, Fisher, DE, Flaherty, KT. Precision medicine for cancer with next-generation functional diagnostics. Nat Rev Cancer. 2015 Dec;15(12):747-56. [Pubmed]. 3. Sabatelli M, Marangi G, Conte A, Tasca G, Zollino M, Lattante S. New ALS-related genes expand the spectrum paradigm of amyotrophic lateral sclerosis. Brain Pathol. 2016 Jan 18. [Pubmed]. 4. Su XW, Broach JR, Connor JR, Gerhard GS, Simmons Z. Genetic heterogeneity of amyotrophic lateral sclerosis: implications for clinical practice and research. Muscle Nerve. 2014 Jun;49(6):786-803. [Pubmed]. 5. Cooper-Knock J, Shaw PJ, Kirby J. The widening spectrum of C9ORF72-related disease; genotype/phenotype correlations and potential modifiers of clinical phenotype. Acta Neuropathol. 2014 Mar;127(3):333-45.[Pubmed]. 6. Küffner R, Zach N, Norel R, Hawe J, Schoenfeld D5, Wang L, Li G, Fang L, Mackey L, Hardiman O, Cudkowicz M, Sherman A, Ertaylan G, Grosse-Wentrup M, Hothorn T, van Ligtenberg J, Macke JH, Meyer T, Schölkopf B, Tran L, Vaughan R, Stolovitzky G, Leitner ML. Crowdsourced analysis of clinical trial data to predict amyotrophic lateral sclerosis progression. Nat Biotechnol. 2015 Jan;33(1):51-7.[Pubmed]. 7. Lunetta C, Lizio A, Melazzini MG, Maestri E, Sansone VA. Amyotrophic Lateral Sclerosis Survival Score (ALS-SS): A simple scoring system for early prediction of patient survival. Amyotroph Lateral Scler Frontotemporal Degener. 2015 Jan-Feb;17(1-2):93-100. [Pubmed].